See the screenshot below for the quickest way to submit scores after a game is played. Click admin to view dropdown menu, the hover over teams and click "enter results"
You can edit or view teams scores by accessing the "Team Page". Please reference the screen shot below. If you notice a discrepency in score, please email info@plymouthsportscomplex.com. 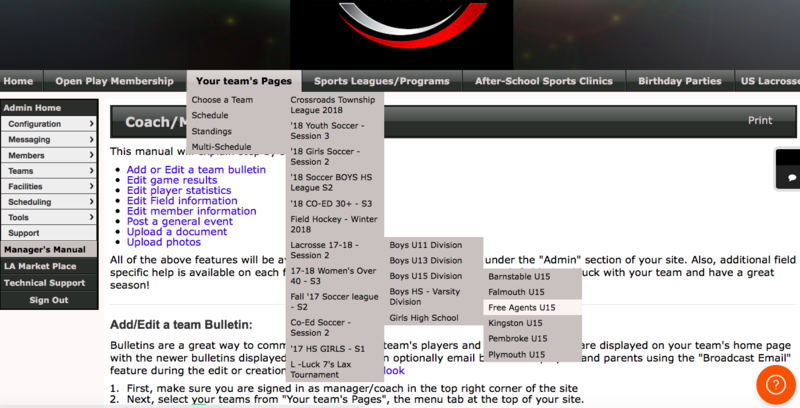 Hover over "your teams page". Find your league, division and team. On the right hand side of your screen you can click the orange button under "actions" to edit a previous score.